From Milwaukee go north on Hwy 41/45 to the Hwy 41/45 split north of Lannon Rd.Take Hwy 45 to the right. Continue on Hwy 45 to Hwy 60, take the east exit onto Hwy 60. 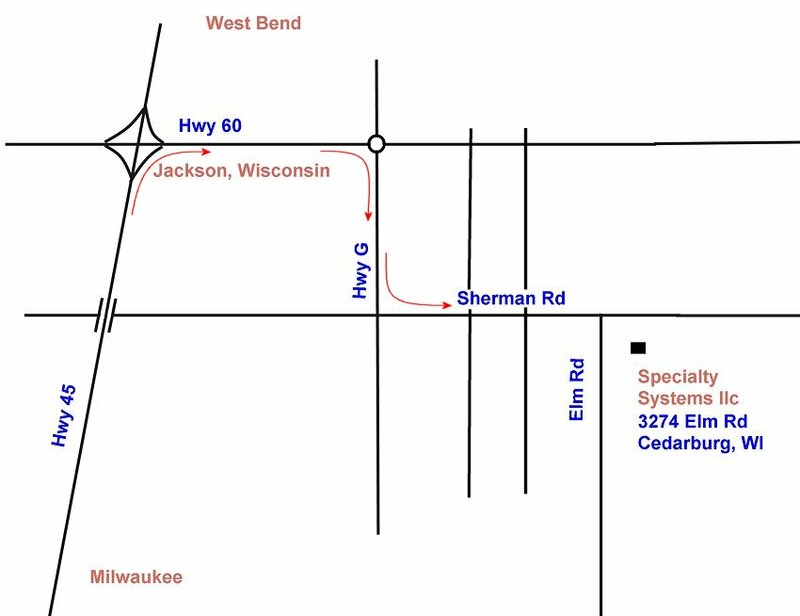 Take Hwy 60 east through the Village of Jackson to the round about at Division Rd. Turn south on Division RD. Take Division Rd to Sherman Rd. Turn east on Sherman Rd and drive 1 1/2 miles to Elm Rd. Specialty Systems is located on the south east corner of Sherman and Elm Rds.